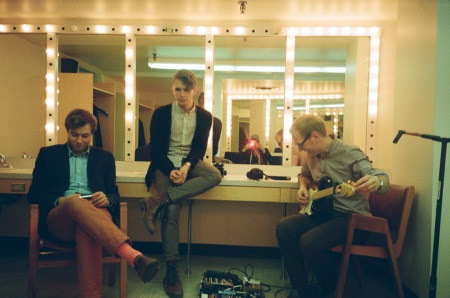 Impressionist pop band Ghost Cousin hail from Edmonton, AB. They are currently putting finishing touches on their new full-length Scotland. They have put up a homemade live video of In Any Place. It's a dreamy song, sounding like a sleepy ambient version of The Decemberists. The album is mastered at Sterling Sound. It will be released in August. Lead singer and drummer Mathew Letersky took care or the mixing.